In February 1912, prisoners, sentenced to a term of hard labor, started digging a cellar on the north rim of Kilauea Crater. The prisoners dug through almost 6-feet of volcanic ash and pumice to a layer of thick pāhoehoe lava, a firm base for the concrete piers on which seismometers would be anchored. Jaggar had traveled to the Islands at his own expense. He left MIT, moved to Kilauea to start the observatory, and devoted the remainder of his life to a study of volcanoes. He also had a home in Keopuka, South Kona. Jaggar was born in Philadelphia, Pennsylvania in 1871, the son of an Episcopal Bishop. A childhood fascination with the natural world eventually translated into three geology degrees from Harvard (AB, AM and PhD (1897.)) He studied in Munich and Heidelberg, and then began teaching at Harvard, later at MIT. Jaggar witnessed the deadly aftermath of volcanic and seismic activity during a decade-long exploration of volcanoes around the world. When he came to the Islands, he joined the efforts of George Lycurgus (operator of the Volcano House) and newspaperman Lorrin Andrews Thurston who were working to have the Mauna Loa and Kilauea Volcanoes area made into a National Park. About this time, about 800 Buffalo Soldiers from the 25th Regiment had been assigned to garrison duty at Schofield Barracks. Given their experience in Parks on the continent, some of the soldiers were called upon to assist at the volcanoes on the Island of Hawaiʻi. On August 1, 1916, President Woodrow Wilson signed the country’s 13th National Park into existence – Hawaiʻi National Park. At first, the park consisted of only the summits of Kīlauea and Mauna Loa on Hawaiʻi and Haleakalā on Maui. 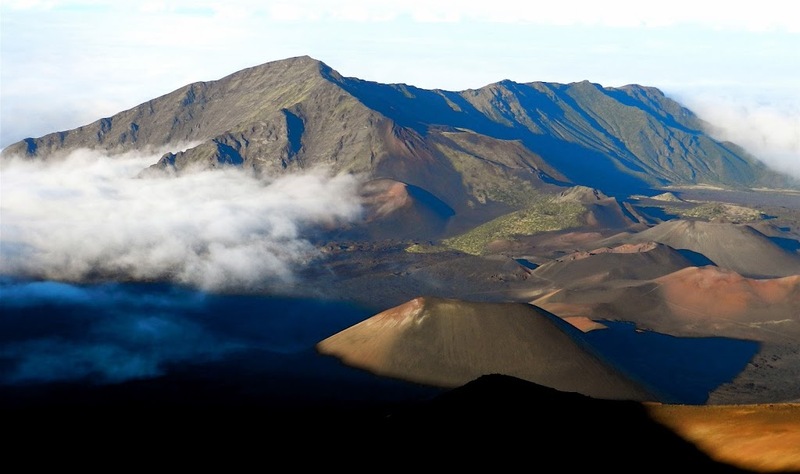 On, July 1, 1961, Hawaiʻi National Park’s units were separated and re-designated as Haleakalā National Park and Hawaiʻi Volcanoes National Park. Throughout his career, Jaggar pursued his goal of mitigating the negative impacts of natural hazards on humans through the continuous study of volcanoes and earthquakes, both in Hawaiʻi and around the world. In addition to Māui, Haleakalā stories recall Pele who fled the Big Island and while in exile, Pele stopped for a brief time on Maui, where she dug a pit with her pāoa (divining rod) and started a fire. Haleakala is such a huge pit that she found it difficult to keep the fire going to keep warm. On August 1, 1916, President Woodrow Wilson signed the country’s 13th national park into existence – Hawaiʻi National Park. At first, the park consisted of only the summits of Kīlauea and Mauna Loa on Hawaiʻi and Haleakalā on Maui. Eventually, Kilauea Caldera was added to the park, followed by the forests of Mauna Loa, the Kaʻū Desert, the rain forest of Olaʻa, and the Kalapana archaeological area of the Puna/Kaʻū Historic District. The image shows Haleakalā. In addition I have added other images related to the property in a folder of like name in the Photos section on my Facebook and Google+ pages.